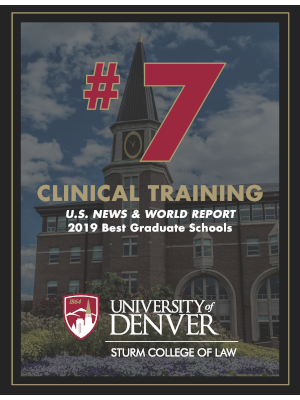 At Denver Law, you have numerous ways to participate in experiential learning opportunities and to gain practical knowledge. Our externship program is one of the biggest and most robust programs in the country, offering students an effective and comprehensive bridge to go from law student to lawyer. In 2017-2018, Denver Law's Legal Externship Program placed nearly 400 students in approximately 500 placements working with more than 300 supervisors. 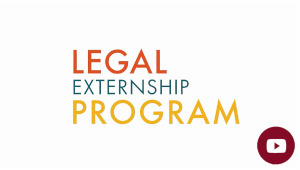 Legal externships specifically refer to monitored legal and law-related work experiences in which the placement is outside of the law school (versus working in an in-house clinic or as part of a lab with a faculty member). In externships, students get real-world working experience while establishing intentional learning goals and reflecting actively on what is learned throughout their experience under the guidance of both a Faculty Advisor and Supervisor in the field. Students earn credit for their fieldwork and first-time externs also earn credit for their participation in a required academic seminar. 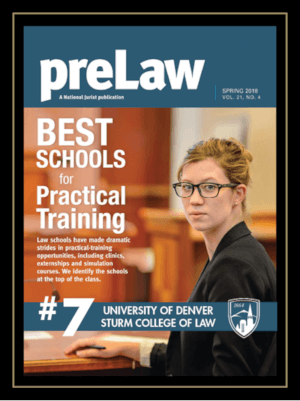 Supervisors, discover how you can work with Denver Law students!